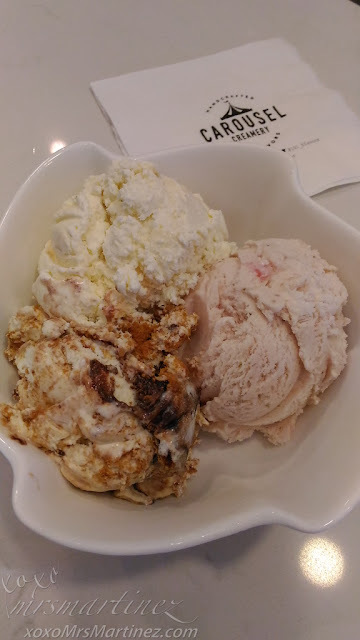 A few days before we left for Bohol, we visited Carousel Creamery Handcrafted Ice Cream | 101 Flavors. 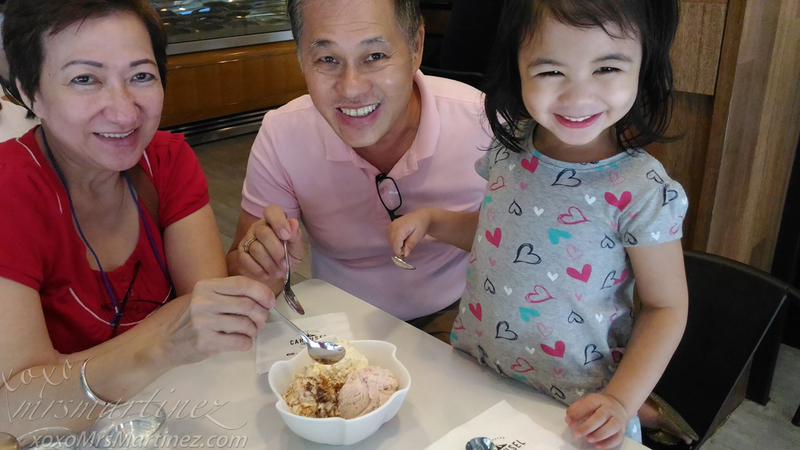 It's the newest ice cream parlor to open along Missouri St. in Greenhills, San Juan. Right now, it has only 77 flavors to choose from but I read that the remaining flavors will be available by the end of the month. There's strawberry ice cream and then there's Carousel Creamery's Strawberry ice cream... just look at her smile! I'd skip the Banoffee but will still order Mascarpone with Caramelized Fig on my next visit. Aside from Triple Scoop, you can order a Single Scoop (Php 85) or a Double Scoop (Php 145). The scoops are served in a cup or a cone. Carousel Creamery is located at 8 Missouri St., Greenhills, san Juan . For inquiries, call 775 9092.